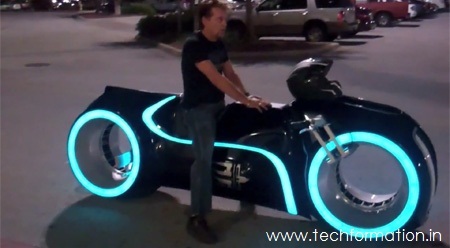 Few months back, when TRON Legacy movie was released, every one was awestruck by the bikes and races in the film. 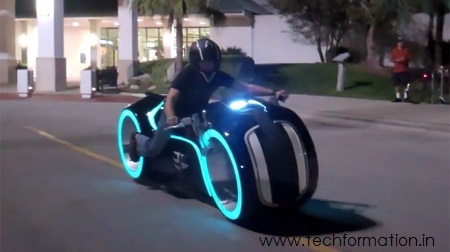 Myself too dreamt of riding such kind of bike. After all these days bike geeks like me can drive it really! 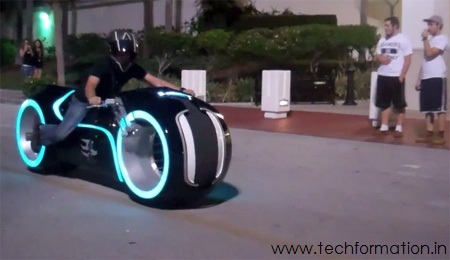 Parker brothers from Melbourne designed this electric light vehicle. 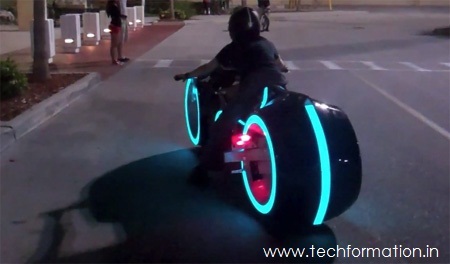 This bike looks so awesome with hubless wheels and bright LED lights.